What is allergy? A sign and symptom of chronic fluid and electrolyte imbalance. This is not the typical answer that most would give. The medical establishment views allergy as an immune response to the exposure of a foreign substance. 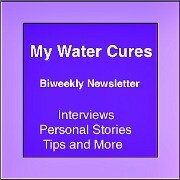 The lack of water or drought in the body is easily corrected with the water cures protocol. To best understand why we at the Water Cures take a different view of this, it is necessary to understand what histamine is and does. Just like the answer to what is allergy, we take a different view of histamine than health care does. We view it as a friend. 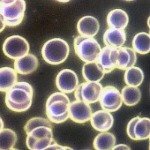 What if we are looking at histamine in the wrong way? If we were wrong, would the way we go about treating allergies be wrong also? Too often, science says our bodies do things for no good reason. What if there was a good reason for the histamine release. If our body does things for a reason, why undo histamine, in this case, using anti-histamines. Just as pain can be good, providing a warning signal to prevent continued damage from using an injured part of our body, what if histamine was good? What if it was a warning signal. What if it was especially wrong when looking at the question, what is allergy? Histamine release is your bodies way of saying that you have too much of something you cannot use and you do not have enough of what you need. Like the emergency lights and siren on a fire truck, the warning is sent loud and clear. Histamine and its five helpers act to re-balance our bodies when they are out of balance. 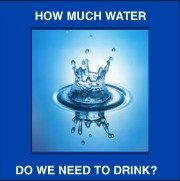 When we are experiencing a shortage in water, salt or potassium, they act to correct the imbalance. They also act to tell us that we are out of balance. Histamine regulates the way the body stores water. 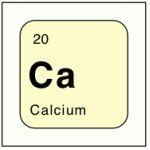 It also regulates the salt, potassium and have numerous other functions. When we have an allergic reaction, the histamine response is the signal of not enough water. Histamine is a good thing, something that can actually save our lives. When we consume more water, we do two things to correct the problem of an allergy attack. We dilute the histamine and we hydrate the body, which is what the histamine wants it to do anyway. Water therefor acts as an antihistamine. It helps our bodies when we have too much histamine released. When it comes to the question, what is allergy, water is the solution. One of the best natural antihistamines is unprocessed sea salt. When you hear of the dangers of too much salt, you never hear about increasing water intake. Increasing water intake is the solution to any concerns you may have about salt intake. You should know that the salt that causes problems is common table salt and not sea salt. If you should take too much salt in, your body will also release histamine. Histamine controls the water in your body. Too much salt is the call for more water, whether from inside or outside your body. You will know that the histamine is released because of a runny nose or possibly congestion in your lungs and throat. Another sign and symptom is watery eyes. A simple solution for this is taking a pinch of salt in dissolving it on your tongue. If you are eating foods rich in potassium or drinking fruit juices, you may also need some extra salt. If the fruit juices cause you to become congested, a pinch of salt will balance the potassium and you will be better sooner. Don't swallow the salt. If you get too much, just let it stay on the tongue for a short time and then rinse or release it into a cup or napkin. How serious is your salt intake? In the book, "ABC of Asthma, Allergies and Lupus" Dr. Batmangehlidgh says we need to pay strict attention to our daily salt intake. 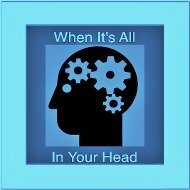 The pharmaceutical anti-histamines do not address the needs we have for water and salt. Rather than treating the underlying problem, they only hide the problem. They treat the symptom and not the dehydration. Most people, on entering the hospital get an IV of normal saline. The first reason is make it easier for the administration certain fluids and drugs. The saline drips at a rate that allows the line into the vein to stay open. The second reason, and this is for many on admission, they are often dehydrated. Dehydration is not something that can be quickly fixed. It may take from a few days to several days for the body to get back into balance. When disease is the result of the chronic dehydration, the time to correct the damage may take months or longer. Isn't Salt Bad for Health? For some, yes salt may be bad. 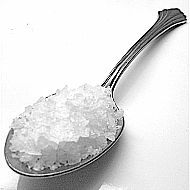 If you have kidney disease or a sodium intolerance, then table salt should be avoided. Many who have a sodium intolerance are OK with Real Salt and Himalayan Salt. 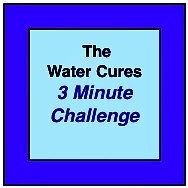 If you have these conditions, then the water cures should not be used unless under the supervision of a health care professional experienced with the water cures. 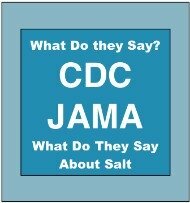 New CDC Salt Guidelines: More is Safer than Less. The excess of salt we get in our diet could easily be balanced by increasing our water intake. To manage the need for extra trips to the bathroom, one of the reasons elderly avoid drinking, use the water cures protocol. The salt helps keep the water in the body where it can do the most good. Water on its own is a diuretic. Drinking water will help our body get rid of any excess salt. But, if you drink plain water and do not take enough salt, the salt you have will be pulled out and cause an imbalance. We need both salt and water to be healthy. When it comes to the answer for what is allergy, water and salt are the extended answer. When we have too much of an allergen, our bodies react by making histamine, the water regulator. When we dissolve salt and it gets into our system, we help the histamine to reapportion the water. When we drink water after taking the salt, we dilute the histamine and provide water for distribution. Thus, many have found that the allergies are relieved by using the water cures protocol. Go To The Top of What is Allergy?